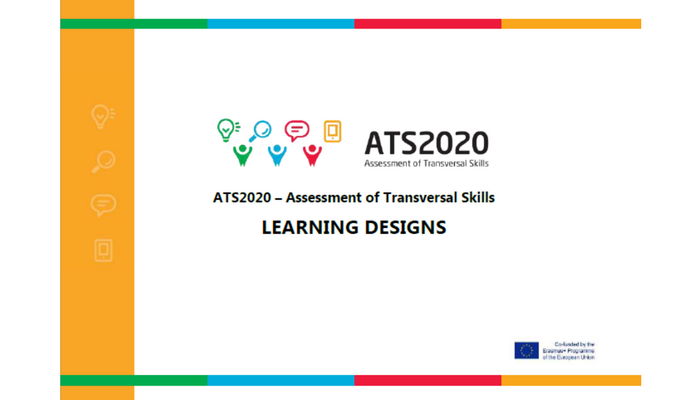 To support teachers on the implementation of the ATS2020 learning model, this booklet collects exemplar learning scenarios as a resource for teachers. Teachers implementing the ATS2020 learning model can use the learning scenarios, modify them or take ideas from them. Teachers can gain an insight of the ATS2020 learning and assessment model and how it can be implemented in class by utilizing existing national curricula. Each teacher along with his/her coach shared a macro-level learning design of their lesson and then proceeded with the development of a micro level analysis. In each developed in micro-level learning design, some general information is provided followed by a detailed description of the activities. In some cases, students’ material is also included. The learning scenarios are provided under Creative Commons Attribution-NonCommercial-ShareAlike 4.0 International licence (CC BY-NC-SA 4.0). In this booklet, 19 completed developed in micro-level learning designs are presented from ATS2020 implementing countries. Furthermore, 10 macro-level learning designs are presented, which even though not fully developed, can provide ideas for teachers to proceed with further development and implementation. Please note that the learning designs are the work of the teachers who developed them, and no editing was done regarding their content. The ATS2020 project is funded with support from the European Commission. This publication reflects the views only of the author, and the Commission cannot be held responsible for any use which may be made of the information contained therein.